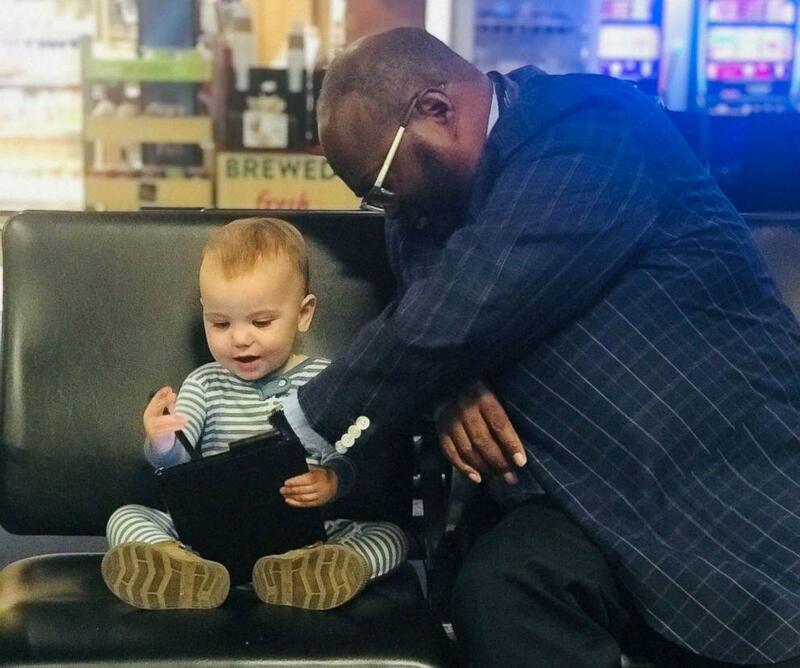 A photo of a little girl who makes friends with a strange man at an American airport, conquers the hearts of the internet community. 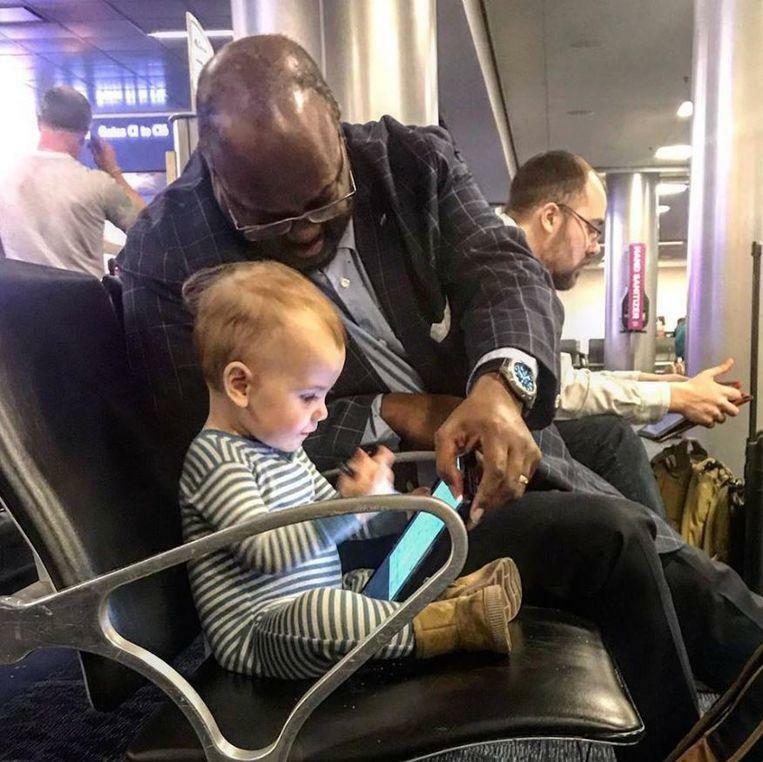 The photo, which was made and shared online by the girl’s father, aroused worldwide endearment and is praised for the positive message the father gives. Motivationalist Kevin Armentrout and his sixteen months old daughter Carter Jean and his wife were on their way from Las Vegas to San Diego, when the little girl “as usual” went for a walk in the departure hall “to say hello to as many people as possible.” Until she met the strange man. Soon she met the strange man ‘Joseph Wright’, who was also waiting for his plane. The black man and the little girl could soon find each other well, as witnessed by the forty-five-minute-long conversation the couple had about Snoopy and cartoons. The little girl offered the man snacks, he showed her in turn how to make drawings on his tablet.